Before he became the iconic musician known around the world, Nat King Cole and his trio toured in the mid 1940’s. The post-war era, in particular, was amazing in Milwaukee, which became a stop for many singers and musicians who would later become household names. 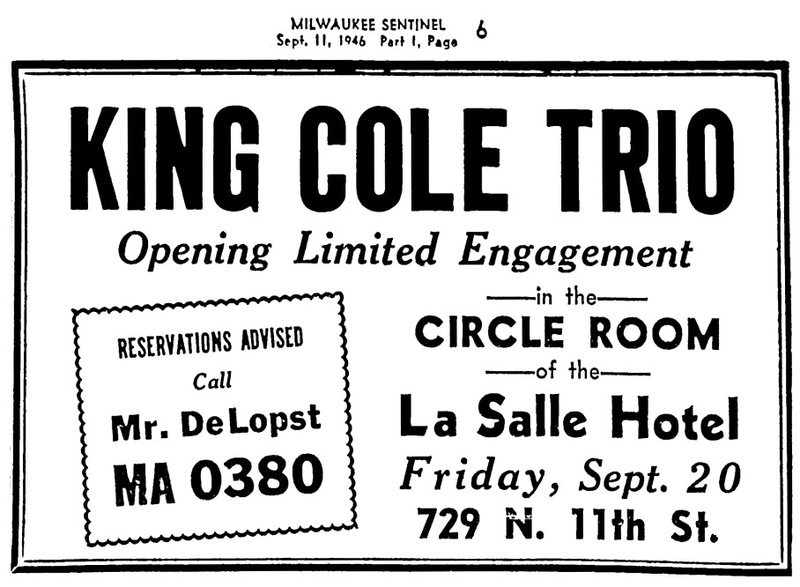 The King Cole Trio already had a huge hit in 1945 with “For Sentimental Reasons” and was booked on September 20, 1946 in the Circle Room of the LaSalle Hotel on North 11th Street and Wells street. In a series of events which, at the time, probably seemed common, the show was broadcast live on WEMP at 10:30 that night. The show was also recorded and can be heard in its entirety on Youtube. The sounds of clinking glasses and the chatter of some lucky Milwaukeeans’ grandparents are too awesome. 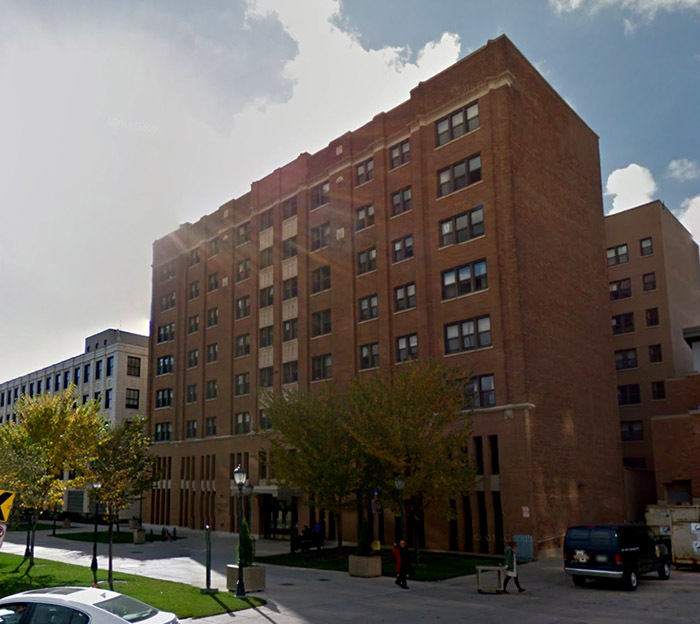 The hotel still stands as Cobeen Hall at Marquette University and why there isn’t a plaque for this show, only heaven knows.